Where productive teams get work done. All the Advanced features you know and love, shared across your team. 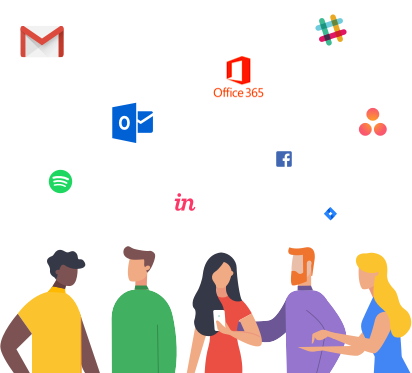 Support for unlimited Gmail, Outlook, and Office 365 accounts. 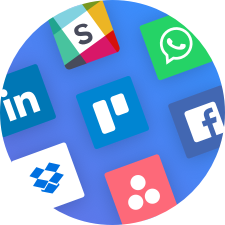 Slack, Asana, Trello, LinkedIn, Facebook, Dropbox and many more! 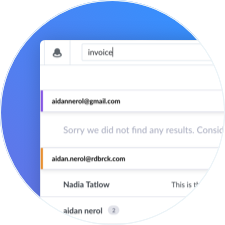 Search for anything across all of your Mail, Calendar and Drive accounts. Easy onboarding and one-on-one support with access to your very own Teams Account Manager. Custom pricing to meet your needs. We work with you to develop a custom plan that works for you, your team, and your budget. “Shift has saved our teams hundreds of hours already. 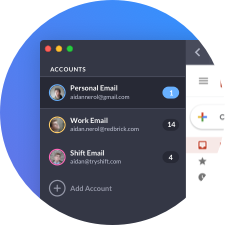 Being able to quickly switch between accounts paired with having all of our pertinent communication tools within a single application has made us more productive and efficient. 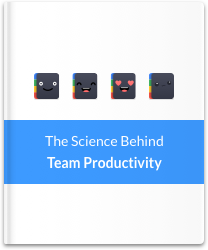 Learn about the science behind team productivity. Maximize your team's potential with a guide that is fact based, easy-to-read, and actionable. Add your email to receive your guide.